Most shoppers travel counter-clockwise. Do you? We’re all creatures of habit. Think about it. Most of us sat at the same lunch table in high school. We park in the same general area in the office parking lot. In fact, if you think about it, you most likely use the same restroom stall at work as well. We sit in the same section in church on Sunday, if not the very same row. Don’t believe me? Try sitting in some sweet little blue-haired church lady’s seat one Sunday and see what happens. We travel through the grocery store right to left, or left to right, but we do it the same way, nearly every time. I’m no different. I’m a creature of habit, too. Maybe even more so than others, because I’ve come to realize over time that habits and routines are a big part of any long term success. In fact, when I teach our “Living Life by Design” workshop at Integress, one of the major topics we touch on is the need to establish winning habits and routines over time. I’m a big believer in it. I’ve seen the benefits in my own life. So when my wonderful wife Gina left town for six days to attend a family wedding, I knew I was in for some changes. I was going to have sole responsibility for our four-year-old son, Holden. Now, this is not anywhere near the “Oh no, Dad’s in charge and the world is going to fall apart” type of scenario. Those of you who know me know that I’m no rookie at this. 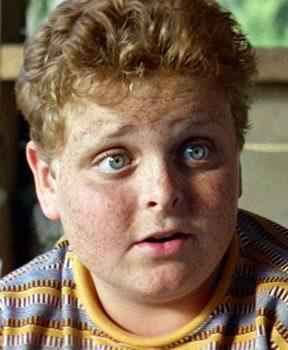 Holden is the youngest of six kids, so I’ve been down this road before. I’m a pretty engaged dad, so we’re not talking about any culture shock of sorts. But with our world-class babysitter extraordinaire Alissa also out of town, I knew that at the very least my usual routine was going to need some adjustment. For me, a “normal” day with no meetings or engagements is largely based on routine. I start with a quiet time of study and spiritual reflection. This is the time where I also review my “attack plan” for the day. After having breakfast, I usually commit the next 2-3 hours in a concentrated block where I work only on one of my major objectives for the week. After lunch, I’ll review email, read and concentrate on social media efforts. The late afternoon and early evening is committed to family – homework, play time, dinner, bonding. After the kids are in bed, I’ll usually get a couple more hours of work in. Finally, I close the evening out with a neighborhood run as I listen to an audio podcast or some great personal development material. I detest jogging during the daylight hours, and this late evening habit of mine plays a huge role from both a physical and reflection standpoint. That “adventure” quickly became a series of reminders for me. Ideas and concepts that I already knew for sure, but reminders for me nevertheless. The first reminder that hit me over the head like a two by four was this: four-year-old little boys simply don’t care about your routine. Asking them to play quietly for an hour so you can get some work done is like asking them to do math factorials while showing their work. Plan on listening to some self-help audio while making dinner? Too bad, because four-year-olds love to be in the kitchen alongside you, and they’re not all that interested in the five major components of goal achievement. 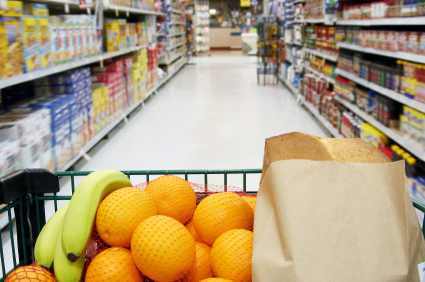 Setting aside an hour of your day to get the grocery shopping done and put away? Better double that time, because four-year-olds extend a simple shopping experience like you wouldn’t believe. I was quickly re-discovering that despite how well I knew my son and my own abilities, the “best laid plans” line from the Robert Burns poem had some serious truth behind it. A couple of days into our “adventure”, I started to see subtle signs. I was starting to feel the effects of not having my normal nightly exercise. I was more fatigued than usual. I wasn’t eating quite as healthy as I normally do, and my work just wasn’t getting done to the degree that I needed. It was time to adapt. Adaptation is one of the key components to any success plan. Historically leaders, sports teams, corporations and even countries who have learned the secret of adaptation are the ones that have experienced the most success. Life throws us curve balls, and each of us has to be able to change on the fly. Even if you’re on the right track, you can get run over if you are sitting pretty and not adapting to the changing landscape around you. Each of us are at our very best when we are able to achieve a working balance with health and fitness, family, career, money and finance, friends, spirituality, community and personal goals. Ready to set the house on fire. Adaptation for me meant a mental mind shift. Instead of attempting to still be productive during the week with Holden, I decided that the rest of the week was going to be about Holden. I set my workload to the side and started to brainstorm various things that Holden and I could do together. We were heading into Memorial Day weekend, and the first thing that entered my mind was camping. Not outdoors, but in our actual home. 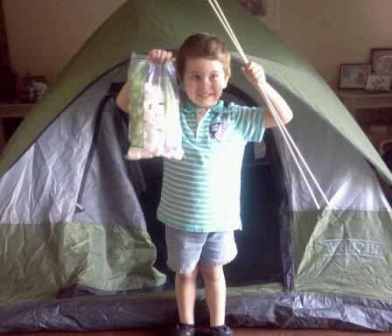 We’ve set up our tent in the family room before, and it’s always been a huge success. Kids love it when we break from the norm and do something really strange and out of the ordinary like that. So that’s what we did. Camping of course means smores. Remember that trip to the grocery store I mentioned a while back? Marshmallows, graham crackers and Hershey’s, baby. 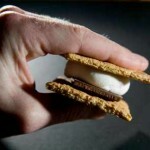 And when you’re camping inside, of course you have to do the smores by candlelight, just like they do in “The Sandlot”. So that’s what we did. I now know that my son enjoys lighting marshmallows on fire a whole lot more than he enjoys eating the actual finished product, but hey – that’s what I’m there for, right? 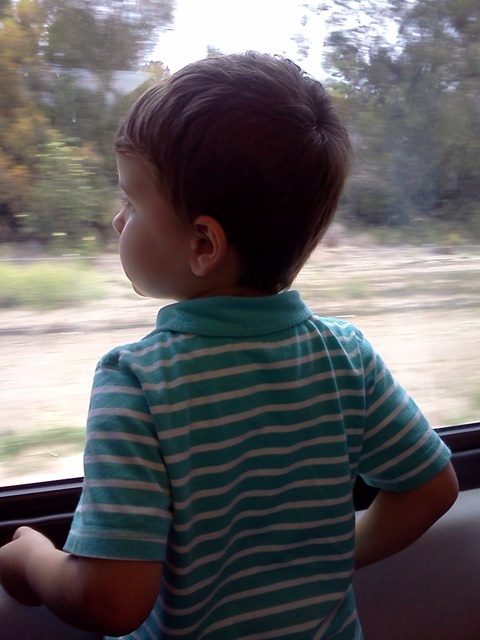 Holden is obsessed with trains. We’ve been fortunate to find some really good deals on used wooden track on Craig’s List, so we have a lot of it. We made some massive train landscapes over the course of the week, but I knew there was more we could do. In Southern California where we live, we have the Metrolink. It’s used mainly as a commuter train during the week, but it still runs on a limited schedule over the weekend. And the best part? Ten dollars gets you a pass for the whole weekend, to ride as much as you want. Holden was free. So we rode. And rode. And rode. Two hours in one direction, a stop off at the station for some lunch, and another couple of hours back home. I’d love to tell you that I made great use of the time I had by reading the self-development book I had brought along, but I was having too much fun watching the sheer joy on my son’s face as he looked out the window in wonderment all afternoon. Ten dollars? I would have paid ten times that. 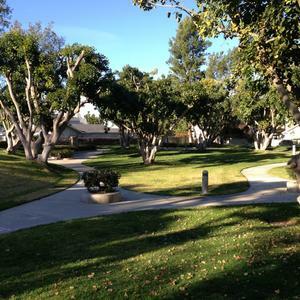 There’s also a wonderful scooter and bike park in our neighborhood, called Echo Run Park. It’s an enclosed area where kids can bring their scooter or bicycle and ride on these really cool trails with bridges, tunnels, traffic lights – you name it. Usually, a trip there with my kids would find me either reading or getting caught up on social media on my phone. Now, Echo Run Park had become my jogging arena. While Holden scootered, I jogged. Another adaptation and another solution. And a really cool side effect? About 20 minutes into my run I saw other parents doing the same thing with their kids. Talk about a rewarding solution. As the weekend progressed, I was reminded of the life balance that we teach in our goals workshop. Each of us are at our very best when we are able to achieve a working balance with health and fitness, family, career, money and finance, friends, spirituality, community and personal goals. You may have even seen this displayed on a chart called the “Wheel of Life.” When the balance in that Circle is out of whack over an extended period of time, not just one area suffers, but several. I’ve actually discussed this before in a prior post – you can read about it here. I was definitely feeling the effects of my balance being off. But that’s what adaptation does. It restores balance. So, how did we fare as the six days came to a close? Amazingly well. We bonded at wonderfully high levels. All the activity wore Holden out, and I was able to get some serious work done in the evenings. I actually got in more work hours than I had originally budgeted at the start of the week, including substantial progress on important tasks that I had going on at the time. In the end, the girls returned from their wedding and adaptation began all over again. By then, they were almost intruders into our male-dominated kingdom of boy stuff. But hey – sometimes you just have to roll with the marshmallows. Do you have a story or a comment about a time that you had to adapt or modify your behavior based on the changing environment around you? We would love your comments below!